CEO Pay Ratios: Comparing The Top Boss' Pay To Yours Starting in 2018, companies will have to disclose how CEO pay compares to median worker pay. A recent survey of the biggest CEO-to-worker pay ratios shows Discovery at the top at nearly 2,000-to-1. 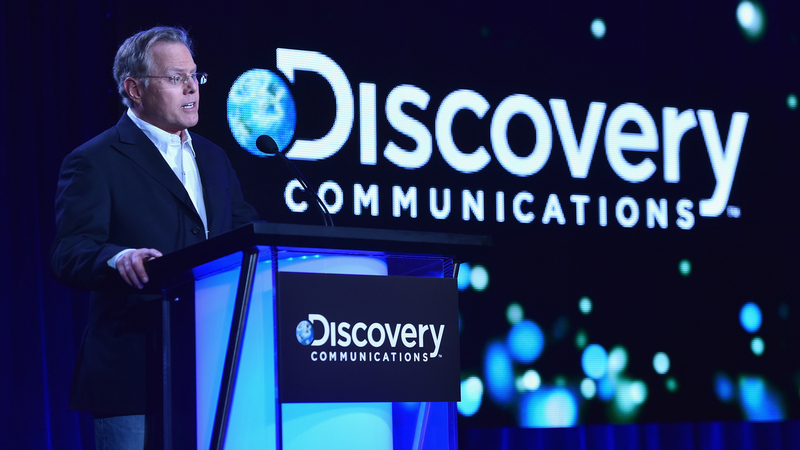 Discovery Communications CEO David Zaslav earned $156 million last year — nearly 2,000 times more than the median Discovery worker. Companies have long had to disclose what their CEOs make, but soon, for the first time, large companies will have to disclose how salaries at the top compare to their median compensation level for employees worldwide. It's a rule the Securities and Exchange Commission adopted as required by the Dodd-Frank financial law. The idea was to give shareholders of companies more context for how executives are paid, but experts say this rule could lead to some unintended consequences. The ratio of CEO pay to median pay is likely to be about 300-to-1, says Steven Seelig, a senior regulatory adviser for executive compensation consultancy firm Towers Watson. "For any company out there, this number's going to be huge," he says. Deborah Lifshey, managing director at Pearl Meyer, another compensation consultancy, says most client companies are concerned about their workers' reactions when they find out how they fare relative to their peers. "They're not really concerned about what the pay ratio actually is," Lifshey says. "They're more concerned about what will happen, how the media will react, what it will do with this data" — and how employees will react if they find out that they're paid less than the median for their company, or that a rival firm's median pay is higher. Some of that information is already available. Companies such as PayScale and Glassdoor collect pay data submitted anonymously by employees. And Glassdoor this week released a list of companies with the biggest CEO-to-worker pay ratios based on its data. Discovery Communications topped the list at a nearly 2,000-to-1 ratio. Andrew Chamberlain, Glassdoor's chief economist, says many of the other companies topping the list are retailers, which employ a large number of low-wage workers. He says for retailers and restaurants, the ratio may not carry that much meaning. "Is that a good or a bad business model just because it leads to a high CEO pay ratio? If you ask an economist, they'll probably shrug," Chamberlain says. But, he says, having that information may empower individuals in negotiations. "Pay transparency does affect the way people bargain at their jobs — both at their current job and in future jobs," he says. Unions pushed for the median pay disclosure rule, arguing it will arm shareholders with more information when they vote on executive compensation. "We can get a better understanding of the compensation practices and strategies that are in place in the companies in which we invested in," says Heather Slavkin Corzo, director of the AFL-CIO's office of investment. But some say the new information could actually end up hurting workers by revealing how much rivals are spending on worker pay. "The unintended consequence could be things like companies recognizing that they actually have a more expensive labor force than somebody else and looking to push jobs offshore to cheaper labor markets," says Roger Brossy, managing director of compensation consultancy Semler Brossy. Brossy says the rule is likely to face legal challenges. If it isn't blocked by the courts, the first corporate annual reports disclosing median worker pay information will be released starting in 2018.